James Bond is ready to start a new life with Vesper. He resigns to the secret service and both share romantic moments similar to the latest pages of Ian Fleming’s novel. In the source material, there is an interesting chapter where Bond reflects with Mathis about good and evil: what defines himself as a “good guy” and what defined Le Chiffre as a “bad guy”. That exchange would be left for the follow-up film 'Quantum of Solace' in 2008, yet there are complex moments of introspection as Bond and Vesper lie on a beach in Italy: “You do what I do for too long, and there won't be any soul left to salvage.” This line keeps a certain similarity to that part of the book as Bond questions himself if his profession is really worth it. The climax of the film sees Bond learning Vesper has betrayed him and is withdrawing the casino winnings for a meeting with a man called Gettler. A big action sequence ensues and it ends with a floating building collapsing into the canal, where Vesper –trapped on an elevator– lets herself be drowned in the waters as the secret agent tries to rescue her. We later learn she made a deal to give the organization behind Le Chiffre the money in exchange for Bond’s life. In order to avoid risking his life and unable to bear the guilt, she committed suicide. In a telephone call where M explains the details, we learn about more things that will mold his identity: he trusts no-one and he blocks his emotions to focus on the job at hand: "But now he would attack the arm that held the whip and the gun. The business of espionage could be left to the white-collar boys. They could spy, and catch the spies. He would go after the threat behind the spies, the threat that made them spy," reads one of the last paragraphs of the 1953 novel. In the very last scene of the film, Bond finds the man on top of Le Chiffre: Mr. White (“the arm that held the whip and the gun”) thanks to a posthumous message left by Vesper on her phone. He shoots him in the leg from the distance, and the man crawls on the floor of his Italian residence. “The name’s Bond… James Bond”. As the credits start to roll and the James Bond Theme blares, justice is done with a book that has been swimming and sinking through the seas of time and with the main ingredient –the protagonist– being left out of the scene in a number of watered down performances that went from the tarnished to the satirical. 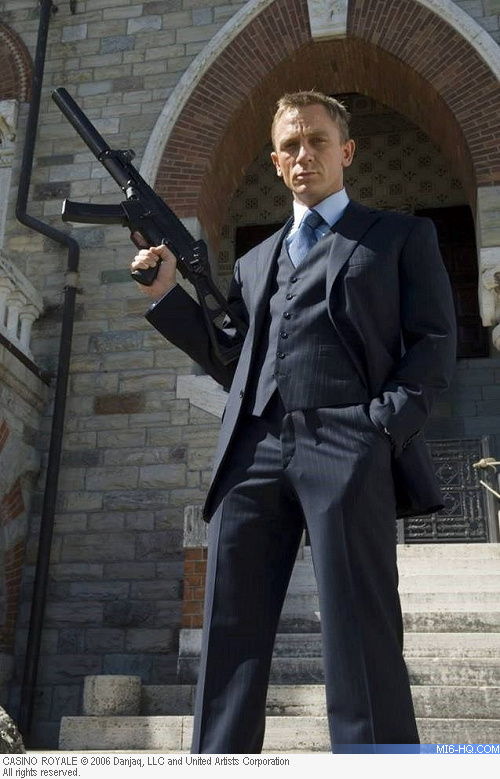 On November 16, 2006, EON Productions and a team of talented filmmakers and actors gave Ian Fleming the film adaptation his first novel deserved. The iconic character that had been established over the course of 20 films has been this time deconstructed and reconstructed, under the eyes of an audience who could empathize with the same character whose luck was envied in the past. 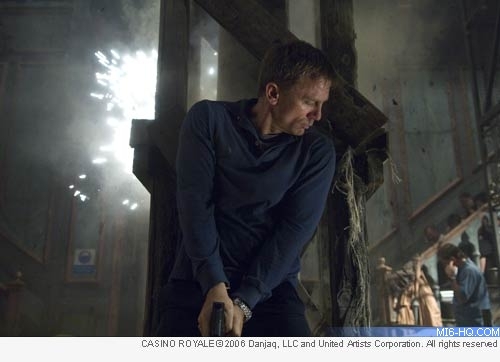 'Casino Royale' put away the old conception of James Bond to reintroduce him as a man who ultimately triumphs, but passes through a lot of pain in order to get the final victory. Nicolás Suszczyk runs The GoldenEye Dossier, a blog dedicated to the 17th James Bond film and its videogame versions. He became a Bond fan at the age of 8, shortly after watching GoldenEye on TV and Tomorrow Never Dies on the big screen. He studies Journalism and Communications in Argentina, where he was born and currently lives.